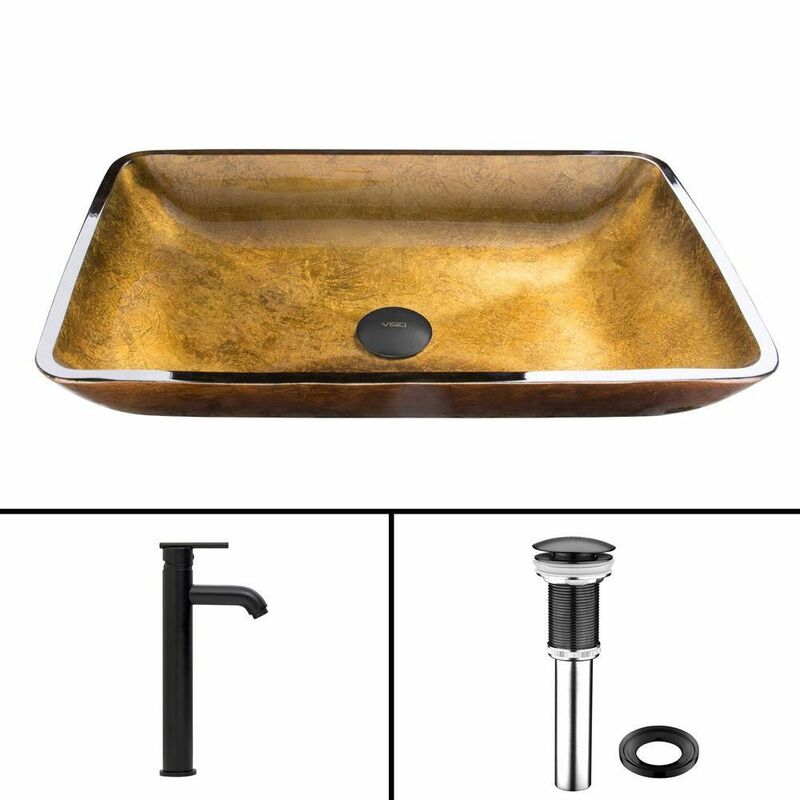 Glass Vessel Sink in Rectangular Copper with Seville Faucet in Matte Black is rated 5.0 out of 5 by 1. Rated 5 out of 5 by Anonymous from Vessel va va va voom! We love our new vessel sink. It took a little figuring out the right connections, but it looks beautiful installed!! !